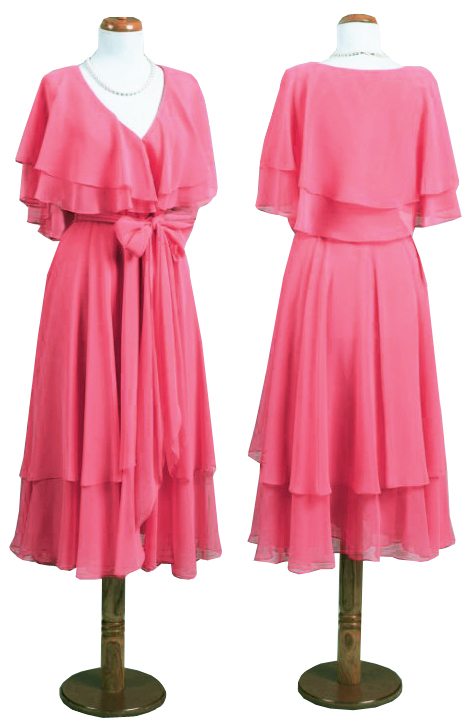 The neck line pattern is an eye catchy feature of this dress making the wearer look exquisite. 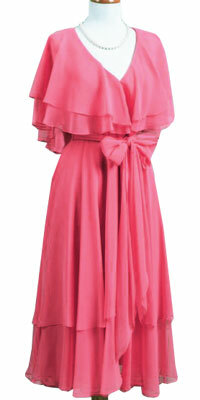 It features two layers of ruffle adding feminity to the whole attire. The bow pattern on the cinched waist is an eye catchy feature. The free flowing skirt pattern features ruffles at the bottom of the skirt.